It’s probably no surprise to anyone that our flesh tends to run to extremes. You’ve heard about the “pendulum swing,” I’m sure. People take one extreme position and then realize that it is wrong. Then to combat the first extreme position, they tend to swing clear over to the other side, only to find themselves in another extreme position on the opposite side. This is what I refer to as the two ditches. As I observe Christianity, I find this more and more to be true. 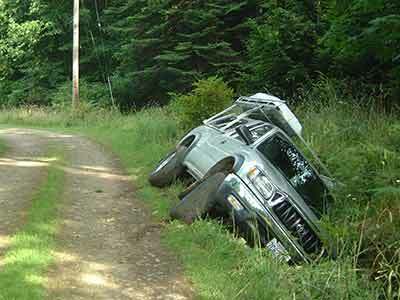 The crazy thing is that we never admit that we’re in a ditch. We’re not on the straight and narrow. We’ve veered off. 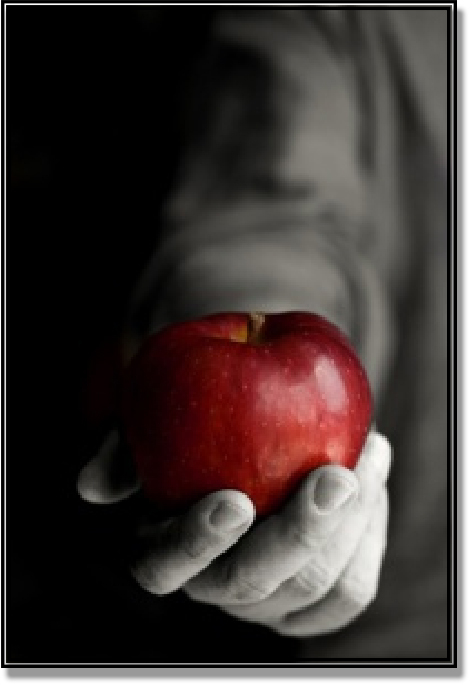 Instead, everyone presents himself as balanced and biblical; everyone presents herself as holding to truth. Yet it seems we have both sides looking to shoot holes in each other’s positions or stands, or lack thereof. Group One will proclaim that they are “defending the faith once delivered.” Group Two points out Group One’s double standards and hypocrisy. Then Group Two will jump on the word “liberty,” and Group One points out that they’re using liberty as “an occasion to the flesh.” While both sides are holding their ground, they truly believe the other is missing the point. Group Two complains that the other is too dogmatic, while they are being accused of compromise and not having any convictions. Group One will complain that they are falsely attacked, all while they attack the ones they claim are attacking them. In Luke 18:11, we see a picture of a crowd that prays like this: “I thank Thee that I am not as other men are.” This crowd is very proud of their holiness and religious actions. We all point to this Pharisee and bewail his hypocrisy. This crowd continuously criticized Christ and his disciples, even for eating with unwashed hands. In today's economy, with our religious crowd, it seems that nobody is as holy as they are. But notice something else with me. In Luke 9:49, the beloved John saw a man casting out devils in the name of Christ, and this beloved disciple who was often found leaning on the breast of Jesus, rebuked this man because he was not running in their crowd. Then a few verses later (verses 53-54), when Jesus was not received, those who had the most intimate relationship with Christ were seeking to call down fire from heaven on those who didn’t receive the One with whom they have this relationship. Again, in today's economy, it seems as if the crowd that emphasizes intimacy and relationship with the Lord (with which crowd I would identify) tends to be just as harsh, even while they may not realize it. We see two groups of people in Jesus’ time: One group of zealots and another group walking with Liberty Himself, yet both seemed to have the same kind of spirit towards those with whom they didn’t agree. We never want to identify ourselves with either of these groups. If you find yourself entangled in arguments and disagreements, rather than simply living the difference that a yielded life to the Holy Spirit creates, I’m afraid you may have to admit that you’re in a ditch! There is a straight and narrow way between the two ditches, but “few there be that find it.” May we learn to yield to the Holy Spirit and live the difference that HIS life creates. To whom will you yield? 2 Peter 1:3-4 teaches us that according to the divine power of God, He has given us all things that pertain to life and godliness, such as exceeding great and precious promises. By these promises, granted by His divine power, we are able to be partakers of HIS divine nature (paraphrase mine). In Ephesians 2:3, we see this phrase “were by nature the children of wrath.” In verse 5, this is further illustrated by the phrase “dead in sins.” But then the miracle happened… Those who were dead were made alive, and that which was alive is now dead. All my life I’ve been told that we have two natures living within us. I accepted what I was told, but struggled with that thought for years. I just can’t find that concept in the Scriptures. One will tell you that because of his “sin nature,” sinning is just beyond his control. In another angle of the argument, someone will tell you that she has reached a level of sanctification where it is impossible for her to sin. 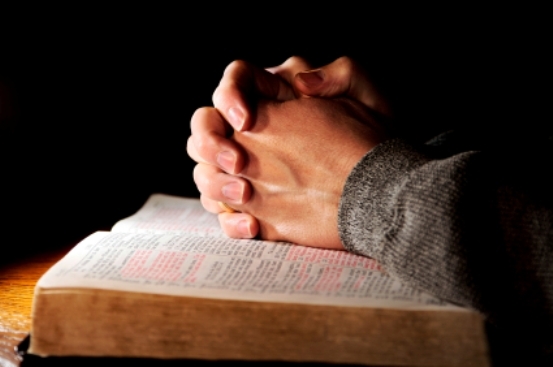 Many ask: How can a Christian still sin if he has only a divine nature? To answer that, we must understand that our being is a trichotomy. We are made up of three parts: 1.) the body (with its five senses), 2.) the soul (its functions being our mind, will, and emotions), and 3.) the spirit (the part of man that bears witness with the Holy Spirit—Romans 8:16). When you combine body and soul, you have what the Scripture calls the “flesh,” and this part of man never did get saved when you were “quickened”—made alive. Your body is still wracked with sin and decay; your soul (mind, will, and emotion) still has every capability of sin, as it did before you got saved. So what happened, then, when you got saved? Your dead spirit was made alive and now bears witness with the Holy Spirit, and your previously alive nature (the old man) has once for all been crucified—it’s dead—the old passing away, making way for the divine nature, which is now imparted by the divine power of God! Romans 6:10-11, along with Colossians 3:3, Galatians, 2:20, and 2 Corinthians 5:17, clearly teach that the old man (your sin nature) has been put to death and no longer can be the excuse for sinning. Sin and death no longer have dominion over you (Romans 6:14, 18), and that is why Romans 6:12 states that we are not to let sin reign, meaning that we have a choice in the matter of sin’s reigning or not. The chapter continues in verses 13-16 with the answer as to how we live without letting sin reign. You’ll notice the word “yield” keeps coming up. To whomever you yield yourself, his servant you become. Why do Christians still sin? Because we yield to sin. No, we can’t blame the “sin nature.” This is like the little kid saying, “The devil made me do it.” Rather we have to be honest with ourselves in stating that we sin by choice. Some may debate: The things I should do, I don’t do, and the things that I shouldn’t do, I still do. To that I agree, for Romans 7:17-18 clearly state that “it is no more I” but rather the sin that is in my flesh (members) that still causes all sorts of trouble. That is why we see in Galatians 5:17 that the Spirit and the flesh are constantly at war with each other. How does this apply to living the difference? This truth from the Scripture brings us to a realization that we need to live 100% dependent upon the Holy Spirit of God. Recognizing that my flesh (body and soul) is as lost as it’s always been… but that my spirit bears witness with the HOLY SPIRIT… my body and soul yielding themselves to the power of the Holy Spirit… I then can practically live out what Christ has already positionally made me. 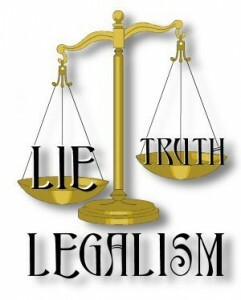 Legalism has had its effect on Christianity; there’s no doubt about that. Rules have been placed on people, expectations placed at levels that hardly anyone could reach. Then if a person failed in that expectation or rule, guilt trips were placed on them. Then this turned into people “outdoing” one other in order to prove that somehow they were more spiritual than the failures that pastor always alluded to in his messages. The lying began…lying to God, lying to oneself, lying to other church members and lying to the pastor about their spiritual state… out of fear of how they would be viewed. In other words, it became a performance-based religion. This has left hundreds of thousands of Christians frustrated, overwhelmed, and in many cases, has chased these members off to the “mega churches” or other churches where there is no requirement, no rules, and little or no expectations. Here’s an observation that I’ve made with many people. When I hear the statement “I have liberty in Christ,” what usually follows is how they are now “less” involved than before... less faithful then they were before… less involved than they were before. For example: “I have liberty in Christ, so I don’t need to go to church as often as I was going…” “I have liberty in Christ, so I don’t need to give as much as I was giving…” “I have liberty in Christ, so I don’t need to be so concerned with modesty anymore.” The list goes on and on with statements like these as to what “liberty in Christ” has brought people. It’s almost as if people are looking to rid themselves of any guilt or conviction. Let me challenge you with a thought. If you follow this reasoning and liberty has brought less faithfulness to church, then would it not stand to reason that the person who doesn’t go at all has even more liberty? If liberty causes you to be less modest, then wouldn’t the skimpiest bathing suit as church apparel provide even more liberty? If liberty in Christ has brought you to less involvement, wouldn’t no involvement be even more liberty? You see, this reasoning is flawed, especially when we see that we are not to use our liberty for an occasion to the flesh. If you look though at verse 13 quoted above, you never see the person who is exercising liberty as doing any less. In fact, the instruction for those in liberty is to serve one another in love. I’ve never seen true Christian liberty cause a person to do less. Love causes a person to do more. Remember when you first fell in love with your spouse? In expression of your love to your future spouse, did you explain that because you have liberty, you don’t need to be as faithful, as involved, or as committed? Of course not! Love brought you to the point of doing more because of love. The reason is that true liberty triggers heartfelt gratitude for what Christ has liberated us from and therefore a servant’s heart is evident. What I have seen liberty do for people is to clear up their wrong motives (serving for recognition, acceptance, or even the expectation that God would return to them the favour), and then by LOVE serve one another. When Christ made us free, He made us free indeed. Free from selfish motives… those we had prior to salvation… free from ulterior motives… those we had prior to salvation… free from “doing” in order to be recognized, accepted, or rewarded… that we had prior to salvation. What then does this liberty do for us? Matthew 5:44 tells us to love our enemies, bless them that curse us, do good to them that hate us, pray for them that despitefully use us, and persecute us. Verses 46-47 tell us that the sinners return love for love, civility for civility… and how are we any better if that’s all we do? 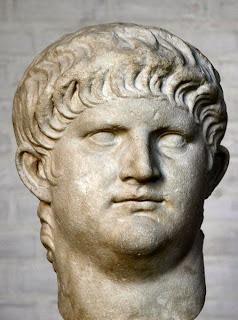 The Roman emperor Nero rose to power in 54 AD and reigned until 68 AD. 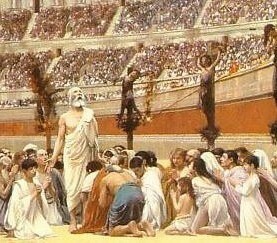 Nero has been tagged as the first persecutor of Christians. After the Great Fire of Rome, Nero started his assault on Christians. He would gather them together, tie them to a light post, dip them it pitch, set them on fire, and use them as lanterns in his gardens. It is believed that Nero was the one who killed both the apostles Peter and Paul of the New Testament. It is hard to imagine what it would be like to live in this time frame. Yet it is in this setting that Peter writes his epistles to the scattered Christians. In 1 Peter 1:7, he talks to them about the trial of their faith. In verse 13, he challenges them to “gird up the loins of your mind” and continues to speak of their obedience, redemption, and faith. Then Apostle Peter makes an astounding statement that has resonated in hearts for years. In verse 21, he says, “Seeing that ye have purified your souls in obeying the truth through the Spirit.” The word “soul” speaks of a man’s mind, will, and emotion. This is where I just got floored. Think back to the time and situation that they are in. Nero is burning Christians and using them as lanterns to light up his gardens. That means someone’s daddy, someone’s mommy, someone’s child, someone’s grandparent has been tortured for sport by Nero, and Apostle Peter says that in the midst of all this chaos and hurt… I see that you have purified your souls [mind, will, and emotions] in obeying the truth through the Spirit. Peter acknowledges something in these Christians that has already happened in the midst of all of this ("seeing ye have") in regard to the purifying of their mind, will and emotions. Even though they were in the trial of their faith, even though they were living the “manifold temptations,” even though their family members were being killed… their mind, will, and emotions were cleansed. Can you imagine... no hatred, vindictiveness, anger or malice... but purified minds? “Seeing ye have…” --We cannot save ourselves. This is not talking about salvation, but sanctification. They had to choose to “gird up the loins of [their] mind.” They had to choose to yield to the Spirit in the midst of the fiery trial. And they had done it! May I suggest to you that it is possible to live the difference? It is possible in the midst of heartache, turmoil, manifold temptations, and in the trial of our faith… to live the difference… to obey the truth through the Spirit. As I yield to the Spirit, He then lives, through me, the Person that He already is. “…yet not I, but Christ, liveth in me…” (Galatians 2:20). I'm not sure, but I can imagine that there are many people who struggle with the transition between living down the person that people perceive them to be, impressions they have left on others, or maybe just living down the person they once were in comparison to the person they are today. Before Paul was saved, his name was Saul, and Saul was not known for being a light-footed person. As a young man, it interested him to watch a man by the name of Stephen being stoned to death. As he grew and was educated in Jewish law, he became a zealot, and with fierce passion, he persecuted Christians. Saul was making a name for himself. As always, in such a situation, there is much more assumed about a man than is actually true. No doubt Paul was charged with things of which he was not guilty, because of the way he had portrayed himself. Interestingly, in Acts 9, Jesus had taken note of something in Saul that no one else seemed to notice. Jesus noticed that Saul was "kicking against the pricks" and that was not an enjoyable time for Saul. I would call this conviction. You see, beneath the surface of what appeared to be a hard, calloused man was a man in turmoil, with a desire to do right, but expressing it all the wrong ways. In a way, I can relate to Saul. I too have had a desire to do right, yet have expressed myself in many wrong ways. I too have left impressions on people that have caused them to doubt my sincerity, as the disciples did with Saul after his conversion. I too struggle at times in the transition between who I've been and who I am, the impression I've left and the individual I've become. There is really nothing you can do to change people's minds and force them to believe you. I've come to the conclusion that just like Saul/Paul, the only thing that you can do is live the difference. When people assume that you're spiteful...live the difference. When people assume you're angry...live the difference. When people assume you're retaliatory...live the difference. In time, just as with Paul, the Lord will establish you, and there will be no doubt that you've been with Jesus. Privileged to pastor the CornerStone Baptist Church since its beginning in June 2000... I am married to the most wonderful lady in the world... am father of two beautiful girls and one handsome young man... and papa to the most precious little girl you've ever seen, and the most handsome little man that anyone has ever laid eyes on! Peter Guenther. Watermark theme. Powered by Blogger.